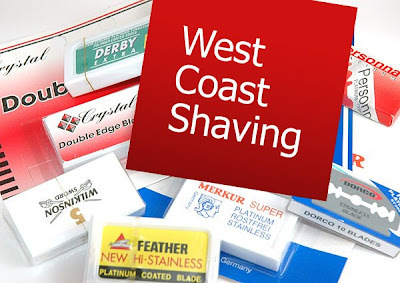 If you’re still undecided on which blade to use in your Double Edge Safety Razor, then consider trying this DE Blade Sampler Pack form West Coast Shaving. A total of 60 blades for $21.50. That’s something like 35 cents per blade! Beyond redic! The pack includes high quality blades from Germany, U.S., Israel and my favorite… the Ninja-sharp Feather blades from Japan. your tag line is KILLING ME ...love it!